Choosing the right document management system can be overwhelming. With so many different features selecting an option that will meet your current and future needs without being overly complex is a difficult task. This video will guide you through the different types of DMS systems and their strengths and weaknesses so you can make a better decision. What are DMS Systems and How Do They Work? An Electronic Document Management System (DMS) integrates all your documents into a single, centralized location and provides storage, version control, security, indexing, and remote retrieval. Every important company record or document can be scanned and implemented into the system as digital files. 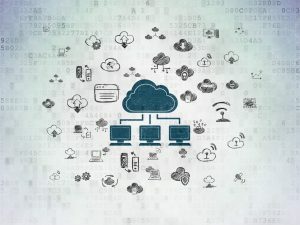 In the DMS system, these digital files can be accessed remotely, easily tracked and secured, and additionally are able to be backed up at any time. Using a DMS documents can be seamlessly integrated with a single software, making it easy for businesses to quickly reference and retrieve any or all of their information from anywhere. By far the most valuable, DMS systems allow multiple users to access the same documents from different locations. Important information can get an extra wall of security with the option to set individual access controls for different users. 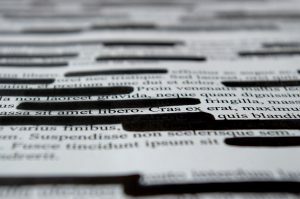 Documents scanned into the DMS can be redacted to protect sensitive contents, while optical character recognition (OCR) makes the file editable after scanning. A DMS tracks all edits to a document, including when it was created, who made changes, and version history. Files can also be reverted to past versions. Upon entry, records are indexed and organized in the system. Rather than searching for and re-filing documents, all information can be found with a keyword search. Like access controls, encrypting your documents and requiring an encryption key to gain access to the system adds another layer of defense. A DMS combines multiple features to provide maximum security, both from physical and electronic threats. On the digital front, stored information can be layered with extra securities to prevent unauthorized access. 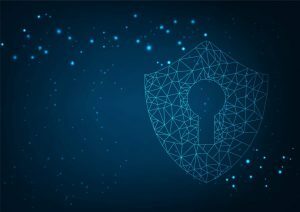 On the first level, system encryption will set an initial defense, which can then be bolstered with added protections like using access controls to password-protect the most sensitive information. One of the largest threats to hard-copy files is physical damage like fire and flood, Although these do still prose a risk to a DMS system, a DMS is also significantly easier to backup to an external location, giving another safety net in case of disaster. Another advantage of a DMS is its ability to streamline and simplify everyday processes for a business. 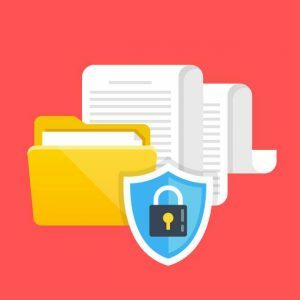 A DMS allows not only for keyword searches to find the necessary document, but also for access to that document from a work computer, removing the time needed to look for and re-file paper files. Another common issue with paper documents is when duplicate copies are made-which for a DMS is the reason why there are also version control tools to easily track the revision and edit history for any file. Swapping paper for an electronic document management strategy helps to give a business’s budget more breathing room. By removing the need for filing cabinets and extra space to keep paper in the building, a DMS system will open up real estate to use for more productive purposes. For indirect savings, employees filing papers for even 5-10 minutes a day over a year can accumulate quickly, and while it may seem insignificant, this is also money coming out of your budget to pay for wasted time. Need An Effective Electronic Document Management System? Find a DMS system that fits your budgetary and security needs and can simplify your daily work processes. Call us at (866) 385-3706 or fill out the form on the right for free quotes on DMS and document scanning services near you.